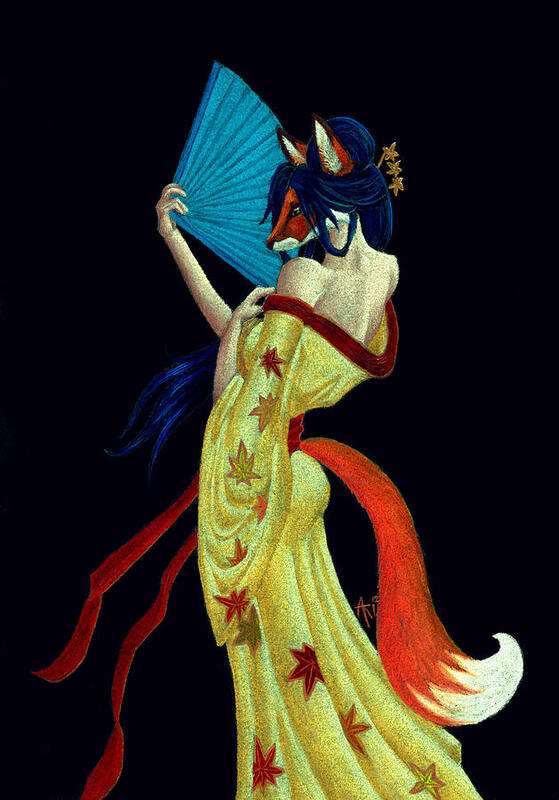 The Kitsune is the mythical fox in Japanese folklore, they are very intelligent magical beings blessed with wisdom and magical abilities which became more powerful with age. A Kitsune can take on human form once it reaches 100 years old, some legend state that this can be less. In order to perform shape shifting they must cover their heads with either certain types or reeds or a skull. 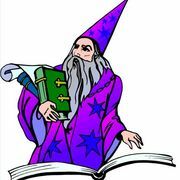 The preferred types of beings to change into are either young and beautiful women or elderly men.They are also highly skilled at mimicking or duplicating a specific person. 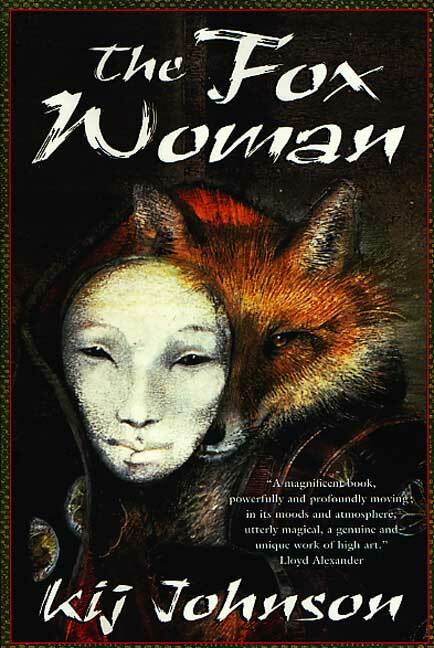 Young women that are possessed by this creature- Kitsunersuki are usually taken over by the spirit entering either the finger nails or the breasts, when this happens the victims expression resembles the fox. Often victims that had been unable to read or write would suddenly be able to do both with great proficiency in languages that they had never spoke before. 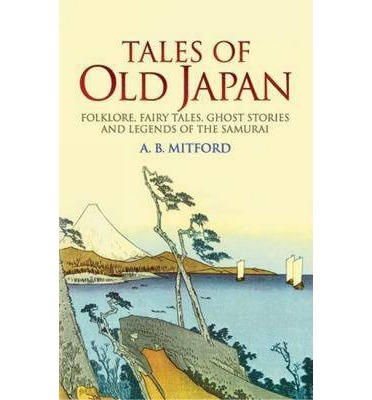 Lafcadio Hearn talks about this phenomenon in his book titled the unfamiliar glimpses of Japan. Many other Symptoms of possession ranged from frothing at the mouth to yelping like a fox, it was noted that in older folklore tales there sometimes appeared strange moving lumps just under the skin surface and no matter how they were pinched or isolated they would always slip out of grasp and move around. Persons also possessed with the Kitsune spirit would have an enormous appetite and eat huge quantities of Tofu and red bean curd, noodle soup, and sweets of various kinds, anyone that was lucky enough to be freed from possession would be sure to never eat tofu again. 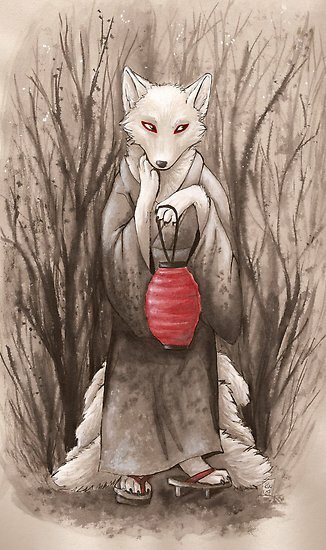 In Medieval Japan it was believed that anyone encountering a lonely woman at night could well have encountered the Kitsune, The human female would exhibit a very narrow face with close set eyes and high cheek bones. 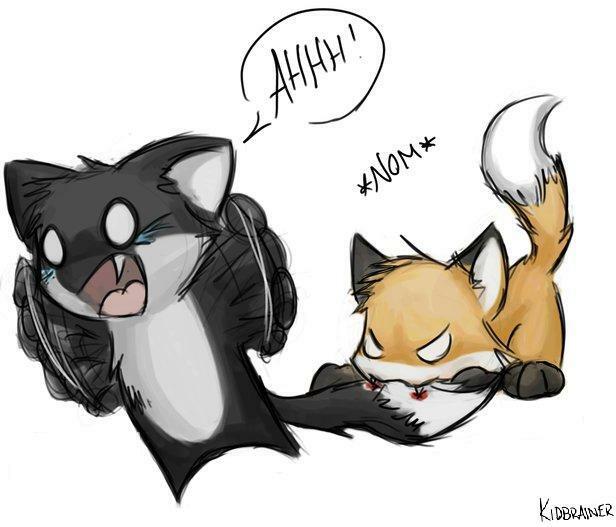 The Kitsune have great difficulty in hiding their long bushy tails when they take on the human form, this was a good thing to check when being suspicious that you are in their presence. 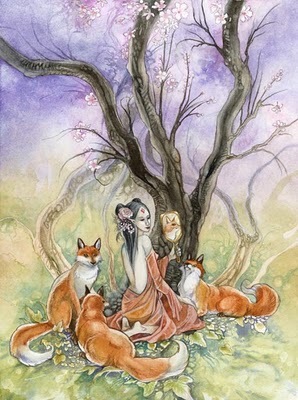 The fear of dogs is very overwhelming for this fox spirit and if they are in a dogs presence they will become highly agitated and nervous and will return to their fox form in front of your eyes and they will flee as fast as they can. The Kitsunetsuki was also noted as a type of mental illness in the Heian period, apparently possession was an explanation for many types of unexplained afflictions. The condition was also linked to Lycanthropy a psychiatric delusion in which humans are said to shape shift into wolves. 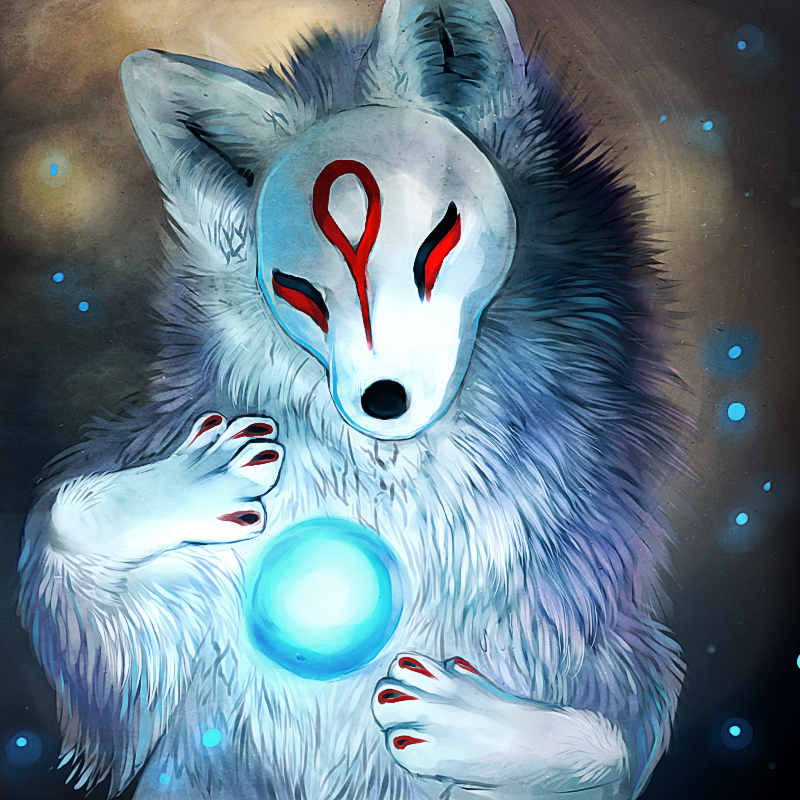 There are many depictions of Kitsune with round shaped glowing white balls that they carry in their mouths or on the ends of their tails, shown mostly when they are not in human form ,these are magical pearls that are unique to these creatures. It was also believed that they could generate fire at will, and were able to create illusions so real it was hard to distinguish them from reality. 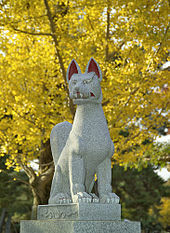 The Kitsune are also linked to the deity of rice, known as the Inari. They were considered Inari messengers, one attribute is a key (for the rice granary) in their mouths. 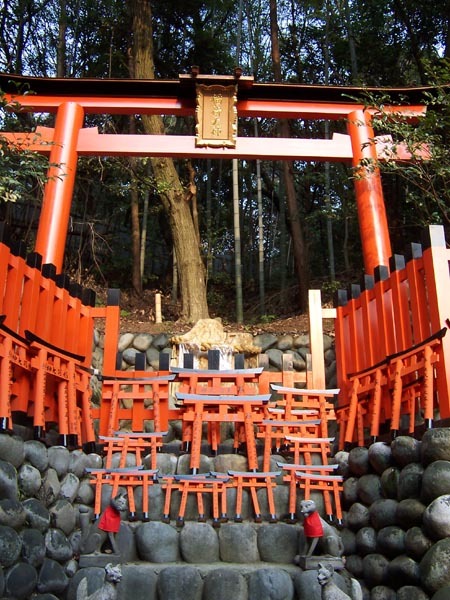 When you visit the Fushimi Inari-Tasha shrine in Koyoto Japan (the head shrine of Inari you will notice lots of kitsune statues. 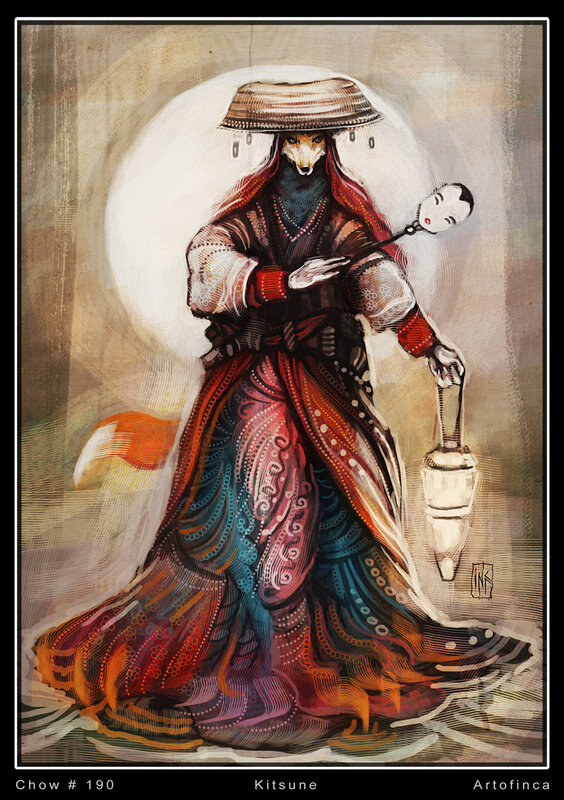 What is also interesting is that the name Myōbu was given to mid rank noblewomen is associated with the kitsune In different regions of Japan. 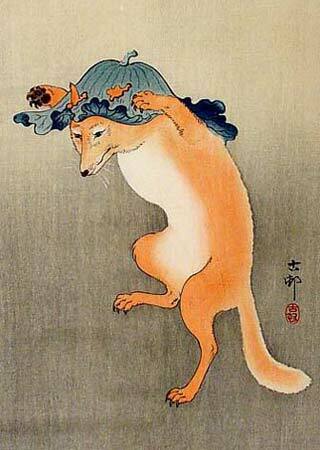 The kitsune were known to be tricksters, they were known to perform cruel pranks on poor tradesmen, Buddhist monks and farmers alike. The nicer ones targeted people from Samurai to merchants of all description. Many Japanese love stories are depicted with the Kitsune being in the disguise of a beautiful woman lover, these stories always end tragically. If the spirit attaches itself to a particular person or household it will use its powers to benefit that person or household. 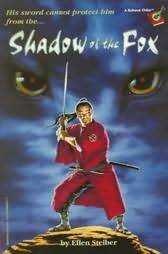 The Shadow of the Fox by Ellen Steiber. 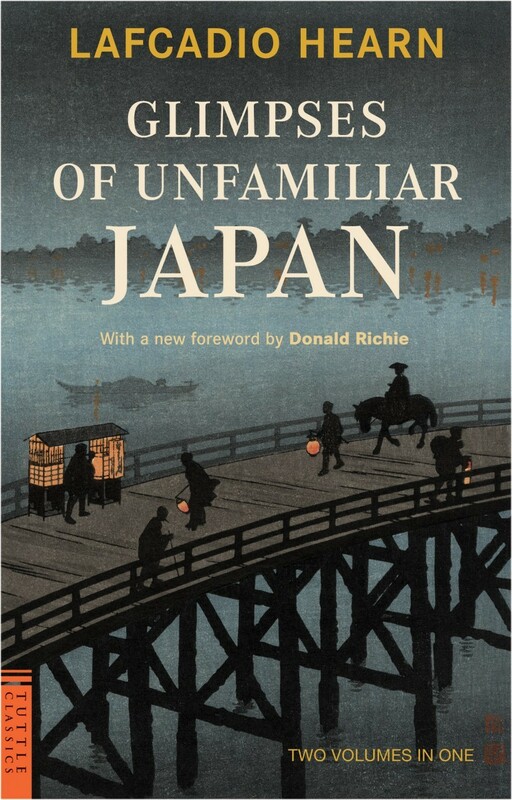 and Eric’s favorite Lafcadio Hearn’s Glimpses of Unfamiliar Japan. The real reason Karen and her folklore tidbits were in hiatus. 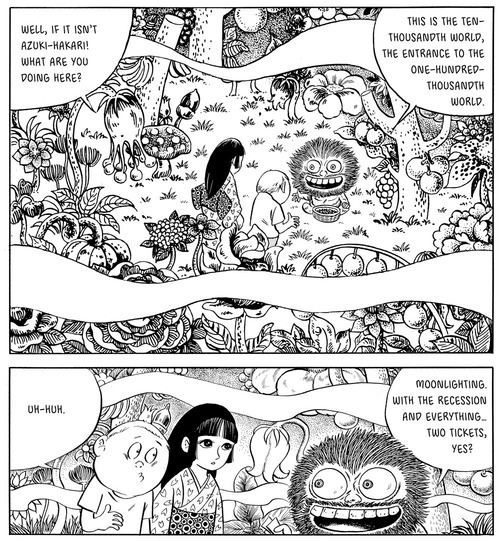 One day while browsing the Public library for some research on Japanese folklore, especially stories about yokai ( Japanese spirit monsters) I came across NonNonBā by Shigeru Mizuki. I have heard alot about Mr. Mizuki’s work, and have been waiting for quite some time to get my hands on some of his manga. So being my lucky day I swooped in with my library card in hand to claim my prize. 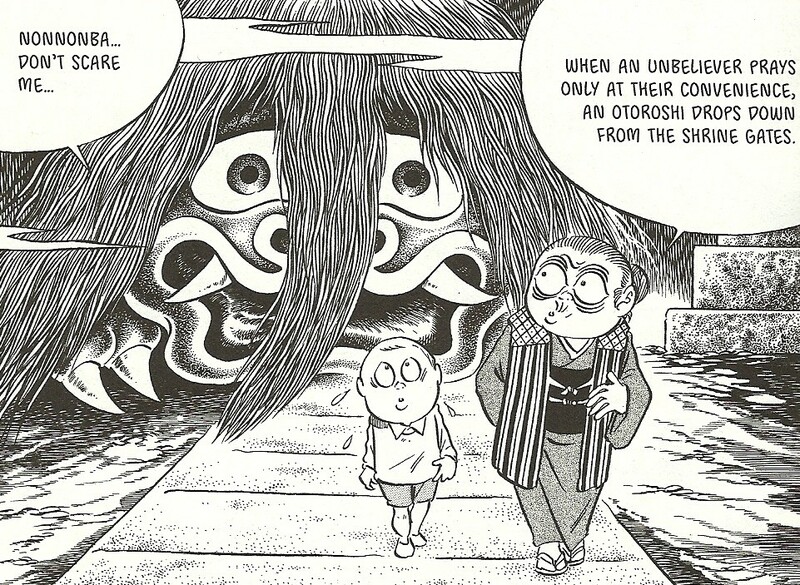 A few things that you need to know about Shigeru Mizuki is is that he is a specialist in stories of Yokai. He is also considered to be the forefather of yokai manga and is one of the most respected cartoonist in the entire medium of Manga. Mr. Mizuki is also a member of the Japanese society of cultural anthropology and has traveled to over 60 countries to engage in fieldwork of spirit folklore. One of his most endearing works is GeGeGe no Kitarō, which is the story about a yokai boy who fights for peace between humans and yokai. Mr Mizuki has also won several awards and accolades including Kodansha Manga Award, Tezuka Osamu Cultural Prize and the Eisner Award. In 2007 he received the Best Comic Book award for NonNonBā at the Angoulême International Comics Festival. So with all this in mind I sat down with a nice cup of chai tea and had an enjoyable experience reading NonNonBā. 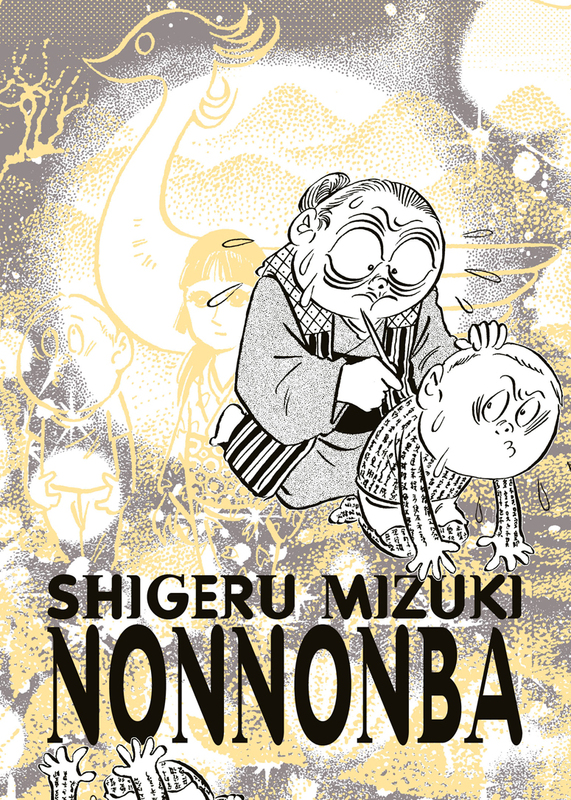 NonNonBā is autobiographical in nature as Shigeru Mizuki sets out to tell how an elderly neighbor whom his family called “NonNonBā’ inspired him to draw pictures and manga of Yokai. Set in the San-In region of Honshu, which includes Mizuki’s childhood home of Sakaiminato in the Tottori Prefecture which was rich in folklore of about “the eight million gods”. 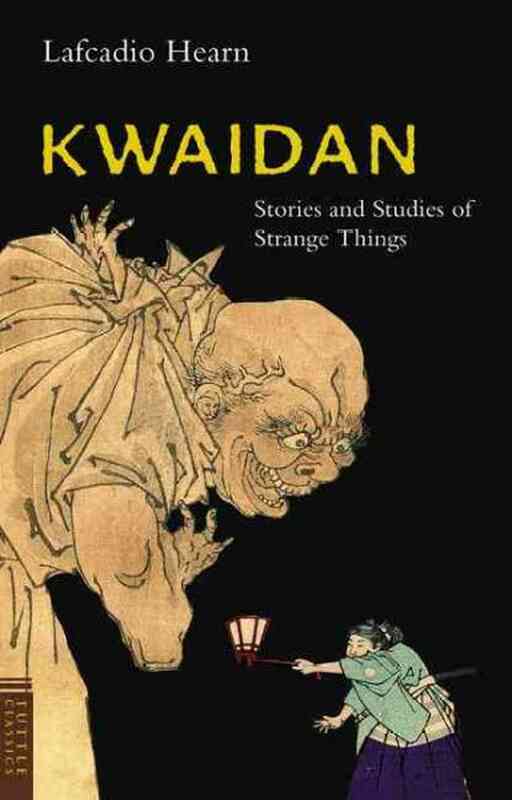 Many of these stories were collected by the scholar Laficadio Hearn in the now classic Kwaidan. NonNonBā herself was a interesting person. In the Sakaiminato area people who served Buddha were referred to as “Non Non-san” and so the nickname of Non Non Obasan (grandmother Non Non) was shortened to NonNonBā. 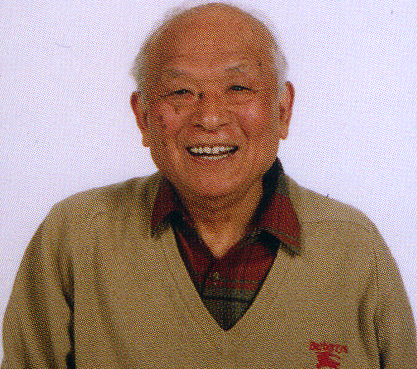 Her influence on Shigeru Mizuki was wonderful, compelling and literally life changing. She was for one reason for another always at Shigeru’s house telling him about the Tanabata star festival, or the O-Bon festival of the dead, about origins of various holidays or the nature of yokai. Doted on by this grandmotherly figure the young boy Shigeru gradually became fascinated by yokai, the more of NonNonBā’s that he listed to the more keenly aware he became of the supernatural world until eventually yokai became the focus of his life. 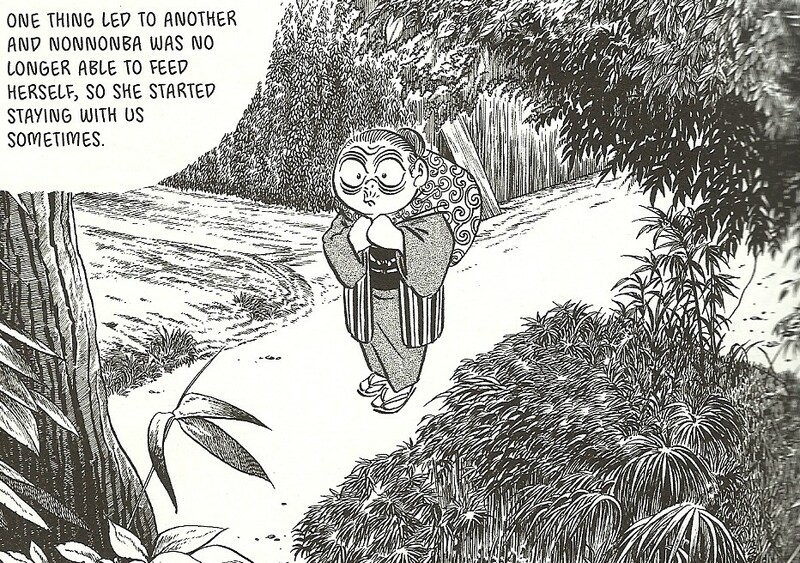 Because of NonNonBā’s teachings, Shigeru Mizuki did not learn about yokai from books. Instead he became a part of a oral story telling tradition of the region and learned to recognize the role of yokai in everyday life, thanks to NonNonBā storytelling and teachings. 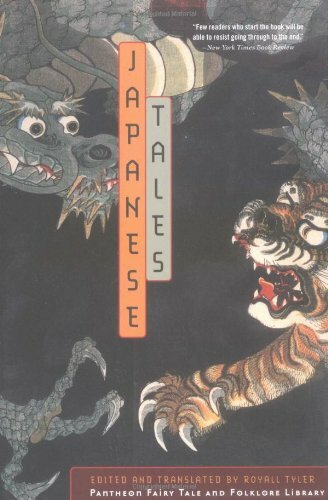 Within this wonderful manga graphic novel are vivid descriptions of Yokai that are woven together with fantastic tales and beautifully rendered artwork. Mizuki literally takes you back in time to his youth and upbringing. I highly recommend reading NonNonBā even if you are not into comics or graphic novels, with it’s beautiful story telling I guarantee that NonNonBā will whisk you away, to a pleasant realm on a rainy afternoon. Who knows you might even meet the Azuki-Hakari in your travels.